I am somewhat late talking about this show, but I just marathoned the first few episodes because I love it so much! The 100 is a fairly new CW dystopian, science-fiction show. It is based on the “the Hundred” book series by Kass Morgan, which I am afraid I can’t tell you much about, because I haven’t read it. Had I known about the books beforehand, I might have taken a look into it, but now that I am so intrigued by the TV show, I don’t want to ruin it. So, in case you have read the book, I’d love to hear your opinion! After the earth has been pretty much destoyed by nuclear warfare, humanity migrates into space and lives on an ark there. It takes them a whole of 97 years to send someone back on the planet, to check whether the surface of the planet is habitable again. But they don’t just send anyone, they send all the underage prisoners that live on the ark. And yes, there are a total of 100 prisoners. From then on the story is divided into two main parts. One plays on the ark, where they are slowly but surely running out of air, the other one plays on earth, where a bunch of teenagers try to build a society and survive. I don’t want to give away much more than that, because otherwise it won’t be much fun to watch it. I have an idea of where the show is headed, but I am sure they will surprise me along the way. I definitely hope that this won’t be one of the shows that get cancelled after just one season! Have you watched the show? What do you think about it? And if you’ve seen it, participate in the poll below and tell me which character you like the most! I just started watching this show too and I got to admit it is really awesome, but I got to disagree with you I think the story on the arc is the most fascinating part. 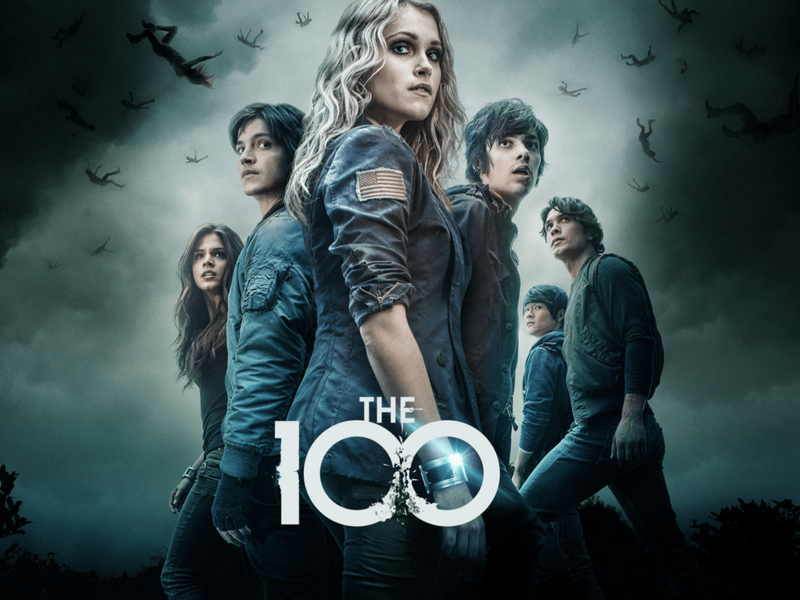 Its the whole mutualistic relationship thing, the 100 depend on the people in the arc and the arc definitely depends on the 100 on earth for the survival of the human race. I’m especially intrigued by Clarke Griffin’s mother. I do understand everyone who likes what’s happening on the ark. It’s just that the whole corrupt government issue frustrates me and I’m much more intrigued by the fact that there are grounders on earth. How did they survive? Except for the fact that they didn’t speak, they looked pretty human to me. And building a new society entirely on criminals – the moral dilemma is fascinating! Clarke really is amazing! I mean she just keeps calm and thinks rational before making a decision. Yet, she still cares about other people’s feelings and considers them as well. The rules on the Ark are really unfair. I mean, I get that they have to be strict because of their limited resources, but the punishments are beyond crazy. I don’t like Counsellor Kane at all, there always has to be a bad guy though or it wouldn’t be as interesting, the same with Bellamy but I’m starting to like him a bit, but Counsellor Kane is just evil. Yeah, you always need an antagonist, otherwise it will get boring. But I don’t actually think Bellamy is a bad person. He might not always make good choices, but I think deep down he has good intentions. Also, you can see that he would do everything for his family and people who really need him (like that little girl, Charlotte).